JAGODINA, SERBIA. 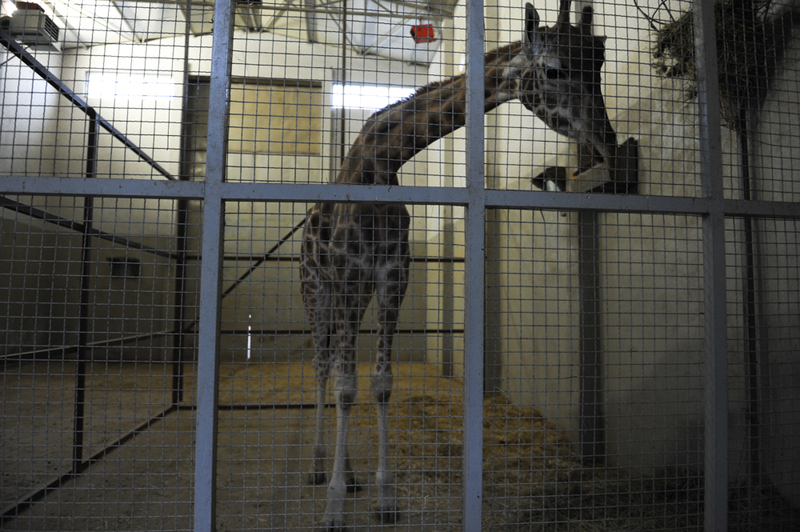 Jovanca, the giraffe in the Jagodina zoo, on September 10, 2015. Jovanca was a concession to powerful local mayor and don Dragan Markovic, also known as "Palma," a former close ally of former Serbian leader Slobodan Milosevic, in order to gain his participation in the coalition government; Palma owns Palma TV which provided part of the turbofolk soundtrack to the 1990s and is close with several stars of the genre including Svetlana Raznatovic, better known as Ceca, and Aca Lukas.